1920 x 1080 HD Recording The Sony PMW-EX3 camcorder records 1920 x 1080 HD images using the "MPEG-2 Long GOP" codec, which conforms to the MPEG-2 [email protected] compression standard. 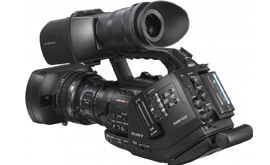 "MPEG-2 Long GOP" is a mature codec - also adopted by the XDCAM HD and HDV 1080i series of products - which enables users to record stunning-quality HD video and audio with highly efficient, reliable data compression. The PMW-EX3 includes genlock and timecode interfaces, making the PMW-EX3 ideal for multi-camera operation and entry level HD studio use. 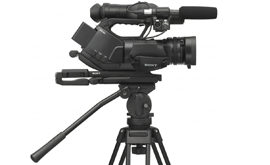 In addition to HD video recording, high-quality audio is an equally significant feature in the XDCAM EX system. 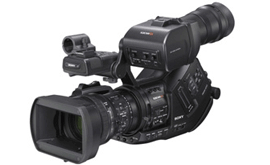 The PMW-EX3 camcorder records and plays back high-quality, two-channel 16-bit, 48-kHz linear PCM uncompressed audio. Ideal for creating stunning 4K content (4096 x 2160) at 50 fps or 60 fps.